Our sports medicine clinic will provide highly skilled, sports specific rehabilitative care to individuals with sports related injuries and orthopedic conditions. PTSrehab will offer sports physical therapy, golf performance and fitness specifically geared to the competitive, recreational and injured golfer and golf swing analysis using 3D imaging software. 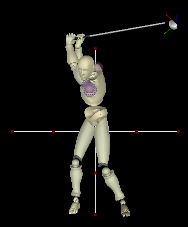 The 3D imaging software looks at the sequencing of the golf swing similar to that of an MRI. 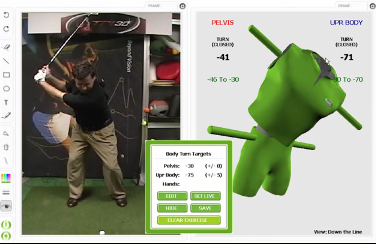 This state-of-the-art technology identifies poor bio-mechanics and poor sequencing of body movement relating to the golf swing. The results coupled with a thorough Selective Functional Movement Assessment (SFMA) identifies dysfunctions that's related to stability or mobility issues. These dysfunctions rob the golfer of efficient sequencing of body movement resulting in poor swing mechanics. Physical and Sports Rehab has built relationships with the golf courses in the DC/MD/VA and continues to partner with its PGA pros to maximize the client's experience. Head PGA pros refer clients to PTSrehab to address musculoskeletal limitations affecting their golf swing or golf fitness needs. It is important to note that there is a clear distinction on our focus which is medical in nature as it pertains to the golf swing. The goal of PTSrehab is to improve mobility of the spine, joints and surrounding tissue of golfers as well as address musculoskeletal imbalances, weaknesses, mobility and stability issues that potentially affect performance.